Last weekend I set up my blind outside my feeder stations with one objective in mind. I wanted to photograph a bird that has been pretty elusive and only seldom photographed by me. 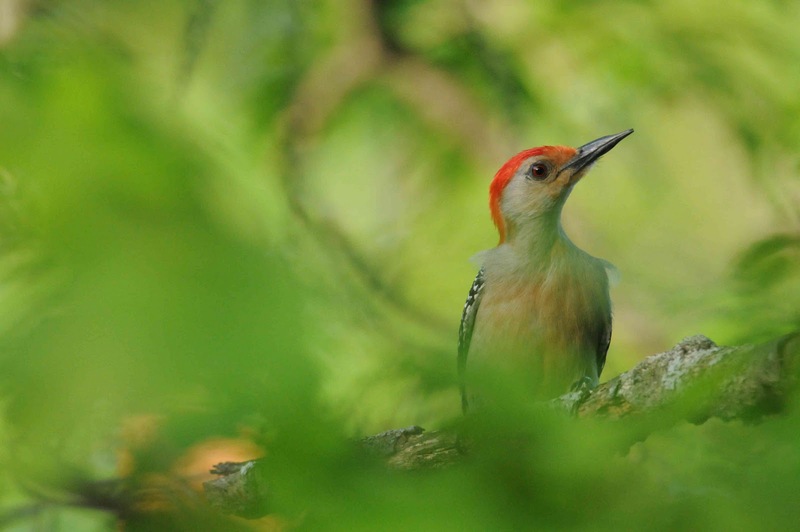 Red-Bellied woodpeckers in my area see, to be very skittish, more so than other species of woodpeckers. 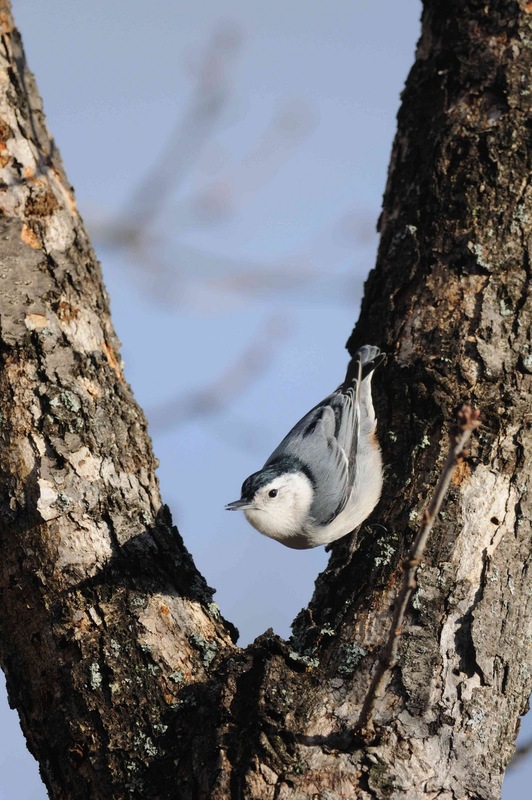 I see them fairly frequently at my feeders and in the woods around my house. I can watch them fine from inside my house without disturbing them. They will even approach the feeders as long as I am a long way away from them if I am outside. 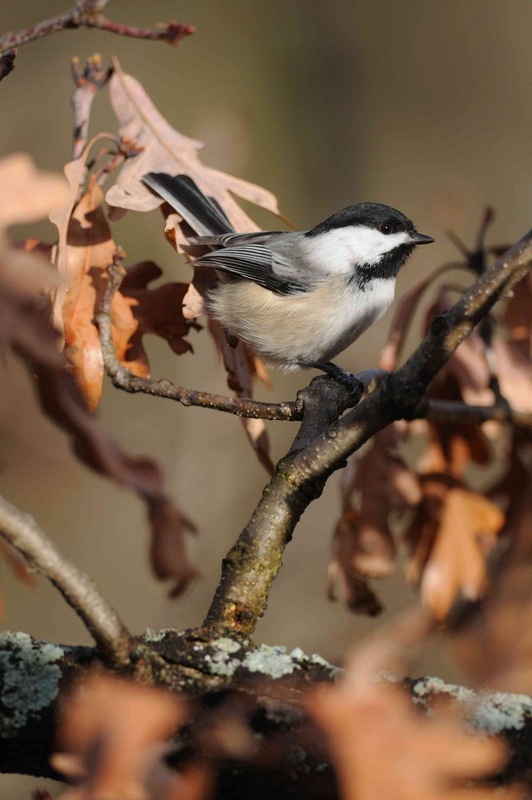 If I am close enough to get a good photograph them they either stay away and I can hear them vocalizing in the surrounding woods or they fly to the feeders, see me there, and instantly fly off. 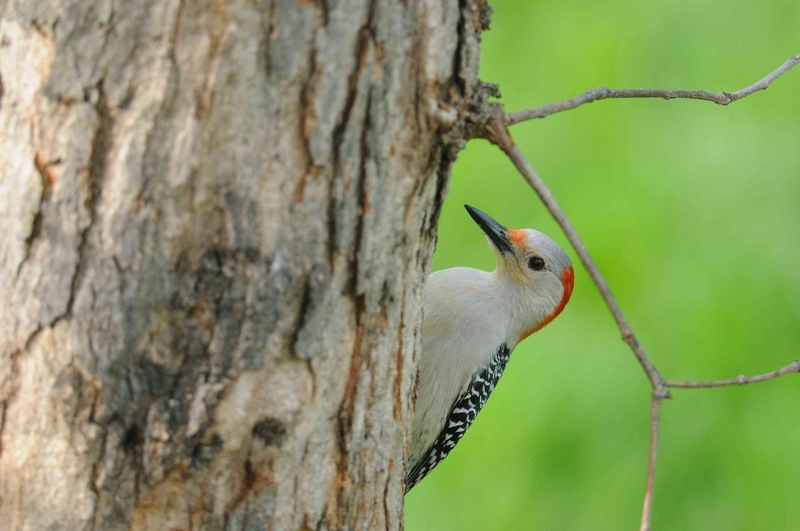 I recently resorted to taking a screen out of one of the windows in my house so that the Red-Bellied Woodpeckers would feel safe to approach the feeders and I could get a clear photograph of them through the open window. At least this is how that plan was intended to work in theory. The first part worked fine. The Red-Bellied Woodpeckers still came to my feeders. However, being that it is currently winter I do not sit there and wait for them with the window open. Once the subject arrives I have to open the window before I can photograph it. This almost inevitably scares off my quarry. In the instances where the woodpecker does not immediately flee the sound of an opening window it is still gone before I am able to train my lens on it and create an image. 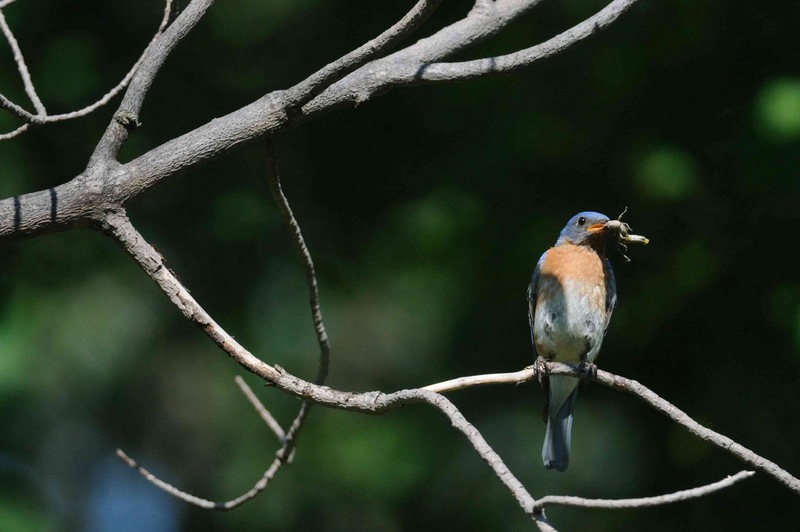 These failures led me to attempt using my blind which previously allowed me to successfully photograph bluebirds at their nest box, feeding their young. So I figured this would surely work with the Red-Bellied Woodpeckers too. Somehow, this plan too failed. Not a single Red-Bellied Woodpecker appeared at the feeders while I was in my blind. I even tried setting it up in two different locations. There are several variables that could account for this and it may take a few trials to work out the details that will allow the woodpeckers to feel safe enough to approach the feeders in the presence of the blind. Repeated trials should allow me to work these out. Perhaps the blind was simply too close to the feeders. The woodpeckers may have been afraid of the new and large object suddenly appearing near the feeders. Maybe the Red-Bellied Woodpeckers simply were not hungry that day. I am sure I will get it worked out in the long run. The good news is that out of this experience where I was attempting to photograph a bird I see frequently but am seldom able to photograph I was actually fortunate enough to be able to photograph a birds that I rarely see and have never been able to photograph. 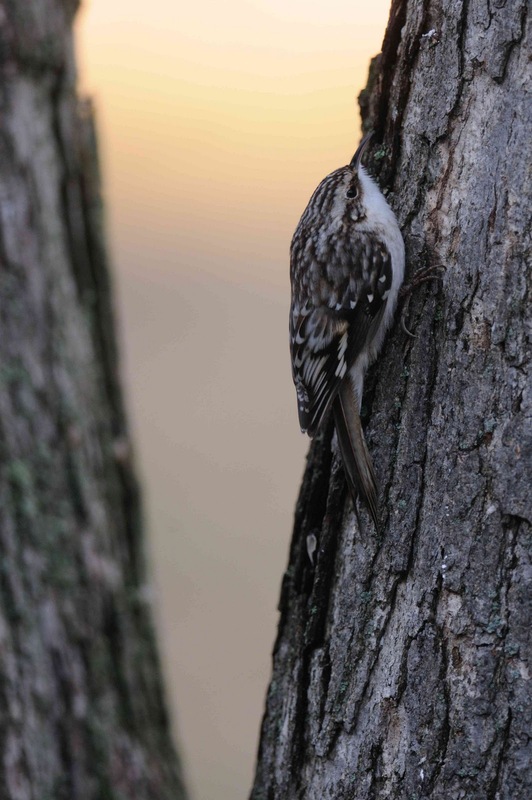 The Brown Creeper is a species that I can probably count on my fingers the number of times I have even seen it. They generally show up at the tree my feeders are at creep around a little bit and then fly off. I probably only see them twice a year at most. I see them so infrequently that I do want to at least watch them a little bit to enjoy their presence. Once it seems they may stay around a little while I go get my camera to try and get a photograph. Inevitably this fails. They never stay very long and leave by the time I am ready with my camera. I usually see them when I am inside my house so this makes it even more difficult. This time one appeared while I was sitting in my blind. I took as many photos as I could. Not many of them were great, or even good for that matter, but I had finally been able to photograph that little elusive bugger. 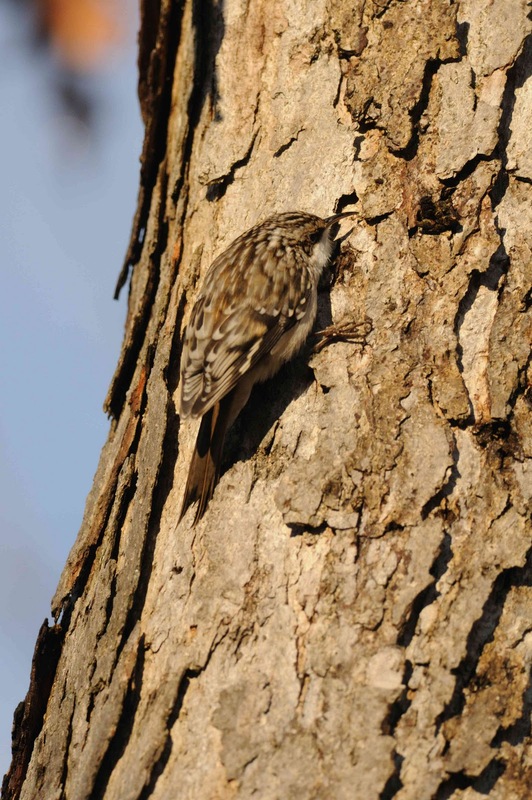 Then before I knew it the Brown Creeper flew off into the woods and did not return the rest of the day. So, even though my plans did not work out as I had planned I was still able to accomplish some other goals. I created many nice images of more commonly photographed species. 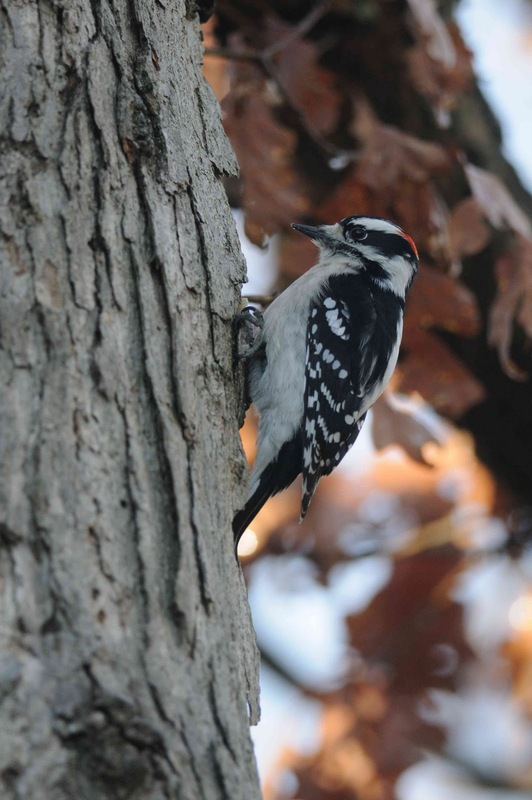 I learned what things not to do if I wanted to try and photograph Red-Bellied Woodpeckers and what to try next time. And I was able to successfully create some nice images of a bird I had never photographed before and did not expect to be photographing that day. It’s funny how things have a way of working out.